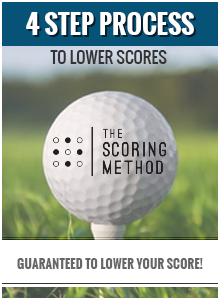 The 4 Step Process to Lower Scores is a unique program that will guide you in steps on how to manage your game and shoot lower scores! You will have the opportunity to work through the program at your own pace. The program will explain the 3 keys to unlocking your true golfing potential; the golfing mindset, playing the real game of golf, and practicing with a purpose. 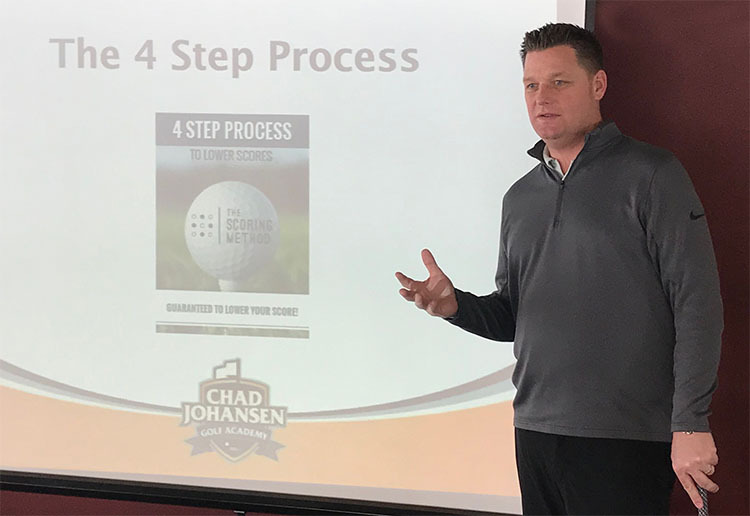 The program will show you how to break the game of golf down into two parts, how to use the CJGA Scoring Method scorecard, and how to use the CJGA Purposeful Practice card. We guarantee that using this system will unlock your true golfing potential and you will start shooting the lowest rounds of your life. If you are looking to have more fun on the golf course and shoot lower scores, then this is the program for you! REGISTER FOR THE COMPLETE 4 STEP PROCESS TODAY! How does the 4 Step Program Work? The first thing you need to do is register for the program. Once you register, you can book an appointment for the 1st Step. Once you finish the homework you can then book the 2nd step followed by the 3rd and 4th step. You can work at your own pace and register for the steps when you feel you are ready. How much does the 4 Step Process to Lower Scores cost? The program costs $199.95 and includes a free year membership to Guide for Golf. Do you offer payment plans for the 4 Step Process to Lower Scores program? Absolutely! Contact Chad at 630.553.7170 and he will be more than happy to figure out the best way to handle payment for the program. Click HERE to register for the 4 Step Process to Lower Scores! Do you have a philosophy in order to be successful at golf? We believe that in order to be successful at golf you have to practice with a purpose, have the right mental approach, and understand how to manage your game on the golf course. When you accomplish these you will unlock your golfing potential. Do you have a swing philosophy? Yes! We believe that each golfer as an individual has an internal swing that we coach them how to find. We believe as coaches that the result is inside you and we have to help you to learn what works for you. We try to implement minimal technical changes so that the changes are understandable and repeatable that will bring the consistency and confidence you desire. We guarantee our results, so expect to achieve your goals!